We accept cancellations or alterations outside of 48 hours without any penalty, and any deposit paid will be held on your account for you to spend as you like within the salon. If you cancel or postpone your appointment within 48 hours, any deposit will be forfeited. The reason for this is that the salon as held this appointment for you and it is difficult to resell that space within such short notice. We may also ask that you pay upfront for your future appointments. You are free to move your appointment forward at any time if we have the availability. Prior to making your colour appointment it is important that you notify us if you have not been skin tested or had permanent colour within the last six months. if not you must visit the salon at least 48 hours prior to your appointment so we can arrange a skin test for you. It is also essential prior to making any colour appointment that you notify us if any reaction from any previous colour, whether this was applied within the salon or at home or if you have any reactions to, henna tattoo’s, or any permanent or semipermanent make up. This is your responsibility to notify us and we can only do our best to protect you with this honest information. If you are unable to attend the salon for a skin test prior to your colour we can organise a patch test to be posted out to you but we ask you give us five working days notice prior to your appointment and we will be happy to post out a skin test for you. This service may incur a small charge. Price levels are tiered according to experience. We hold the right to amend or change our pricing structure without notification. We ask all clients who require an accurate quote to check with their operator prior to their service commencing. 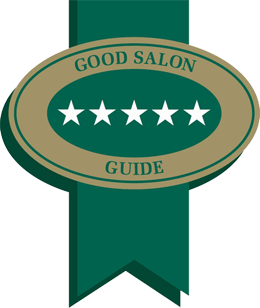 When you have completed you hair service at The Cutting Rooms hair salon we expect all our clients to be happy with the outcome of their new hair style and be able to wear and manage their new style with confidence. If you feel that the service agreed with your stylist has not been fully achieved we need to know at your earliest convenience so we can help to resolve your concerns where possible straightaway. Please be aware that certain services are not covered by our re-do policy. This includes any service such as hair-up trails, blow dry services or in certain instances services which may have been indicated to you within your consultation by your stylist of certain limitations. If this is the case it is then your decision if you wish to go ahead with the service. Our re-do policy will not cover any hair services you or any 3rd party have tried to rectify or have tampered with. Unpaid or complimentary hair services do not qualify for our our re-do policy.